A selection from the NASA/ESA Hubble Space Telescope’s archive of more than 4500 high definition images, outstanding Pictures of the Week, and stunning Photo Releases will now be published on Instagram, as ESA/Hubble joins the popular network. We invite you to follow @HubbleESA to revel in spectacular images captured by Hubble and to discover the amazing stories of the science it performs. 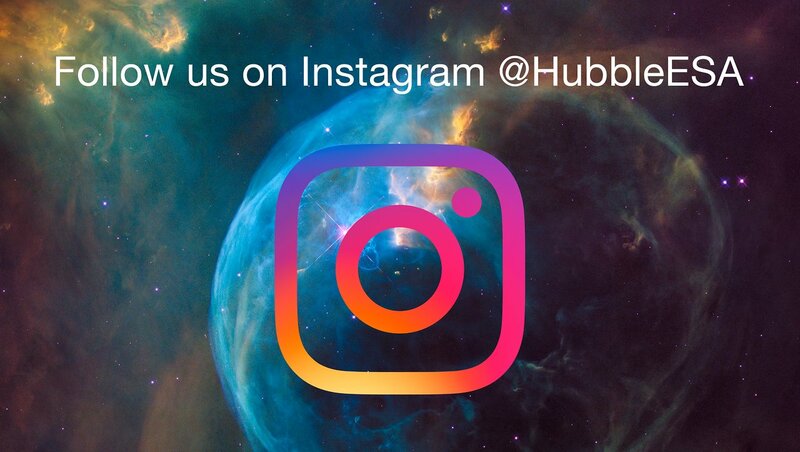 You can also follow Hubble on its other established social media channels, including Facebook, Twitter, and Youtube.